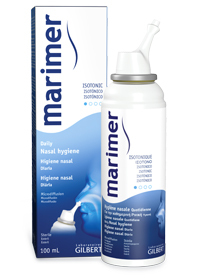 All products in the MARIMER sprays range are made using quality seawater rich in dietary-minerals such as copper, zinc and manganese, known for their therapeutic properties in treatment of respiratory infections. This pure seawater is taken from the bay of Mont Saint Michel in Saint-Malo, France, reputed for its high tides of more than 15 metres which, due to violent currents, provide high-levels of water oxygenation and an abundance of minerals. All of the benefits of this seawater, rich in mineral salts, are preserved as micro-filtration is used for sterilisation. This is a mechanical principle which eliminates all impurities while preserving the properties and trace elements of the seawater. Sea water overflows therapeutic virtues !